We love our pets no matter what. Despite occasionally getting into the trash or spontaneously rolling around in the mud on a hike, there’s still that unconditional love pouring from our hearts no matter what. However, it’s safe to say we prefer our pets to be clean, right? And as their fur parents it’s up to us to help facilitate that. Photo by Mikhail Vasilyev via Unsplash. The holidays are over, and spring cleaning is around the corner. There’s a sense and need for things to be tidy in the air. 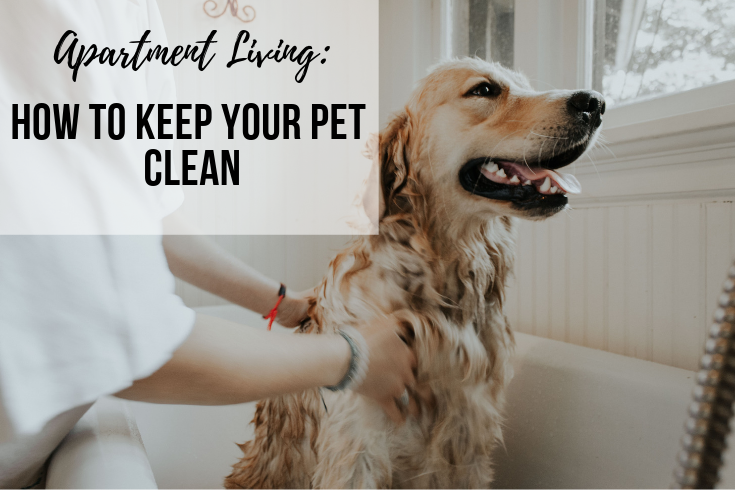 And if you like your apartment home clean as a whistle (and that includes your fur baby) we have some tips for you! Select Fairfield communities feature dog washing stations as an amenity. If your community offers this hand benefit, this is a no brainer. Make it a habit to stop in weekly to give your pup a bath or clean off those paws after a hike. In between washings you can use pet wipes to wipe off grime or even dry shampoo to keep them smelling good! Fur shedding is something every pet owner has to deal with. There are ways combat it or make it less of an issue. The best thing you can do is regular brushing, which most cats and dogs alike seem to enjoy. Not only does it relax your pet (most of the time, there are always exceptions to the rule!) you’re also getting rid of excess hair that will end up on your couch, floors and rugs. 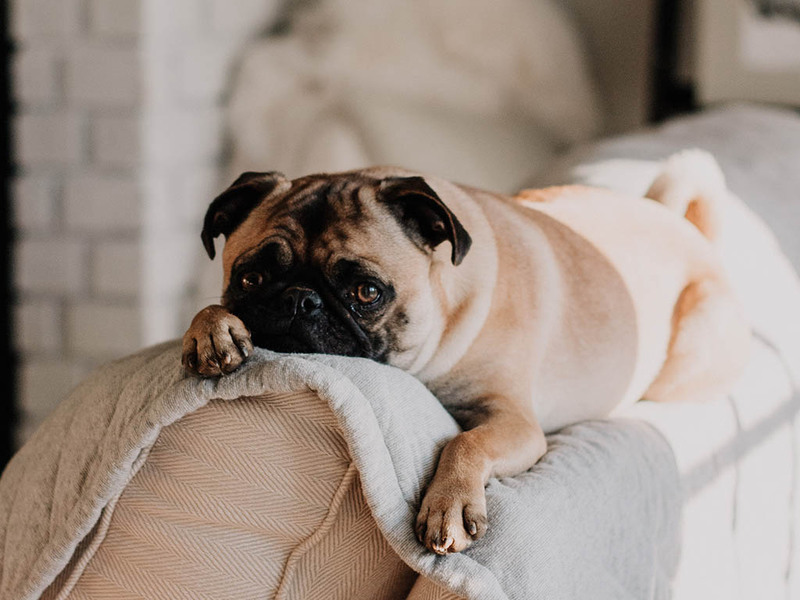 Something that often gets overlooked is keeping your pets toys clean, especially their chew toys which can be the perfect environment for bacteria to grow. A simple wash with soap and water can do the trick. If you want to disinfect toys soak them for an hour in one part water and one part vinegar, then let completely dry. 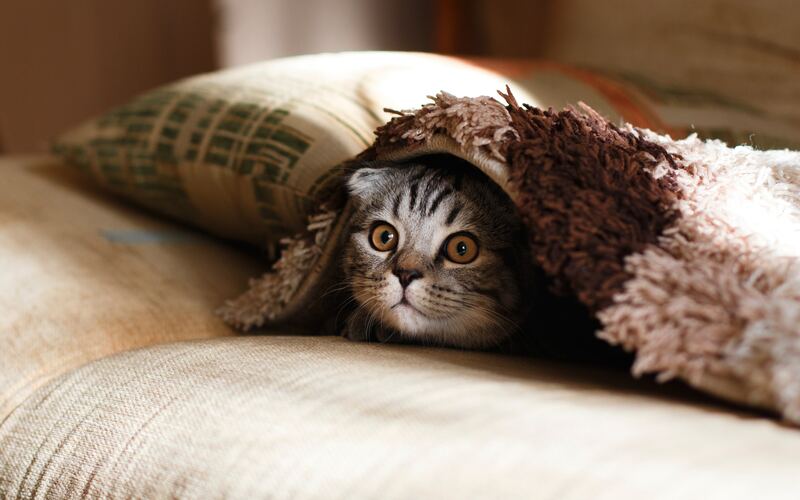 It’s not just about cleaning, but also deterring your pet from making a mess. Usually when a pet gets into the trash or tears up your pillow or eats a shoe, it means they have excess energy that needs to be released. This means regular walks or play time to wear them out and make them less likely to take it out on your furnishings and personal belongings.